Cake Topper Bunting. Christening Day Bunting. This cake topper is ideal for giving a cake a finishing touch and a pop of colour. 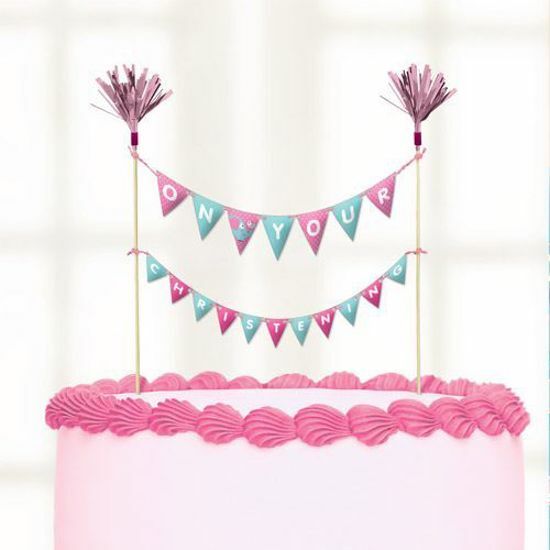 The topper has bunting across two picks which is printed with a pink giraffe design, along with writing that reads 'on your Christening Day'.